He will take over from Krishnamohan Rao, who will move to Transmission & Distribution Business as Head HR. In his new role, Krishnamohan will head the HR function other than AEML, Mumbai. Ex CHRO of Tata Power, Dr. Jayant Kumar has joined Adani, Head - HR for Ports & Logistics business. He will be based at Ahmedabad and will report to Karan Adani, while functional reporting will be to undersigned. He will take over from Krishnamohan Rao, who will move to Transmission & Distribution Business as Head HR. In his new role, Krishnamohan will head the HR function other than AEML, Mumbai. He will also lead HR function for expansion of T&D business into cities other than Mumbai. He will be based at Ahmedabad and report to Anil Sardana with functional reporting to undersigned. Krishnamohan joined us in July 2011 and led the HR teams of AEL & related entities for more than 4 years before taking over as Head – HR of Ports & Logistics business. We place on record our appreciation for his contribution. Jayant Kumar is an MA (Eco. ), PGDM from XISS, Ranchi and also holds a PhD in Talent Management from Patna University. He also completed his LLB degree recently from Mumbai University. He started his career with Hindalco in 1994 and has since worked with large organizations like NTPC, Reliance Communications, Tata Teleservices and Marico Ltd. 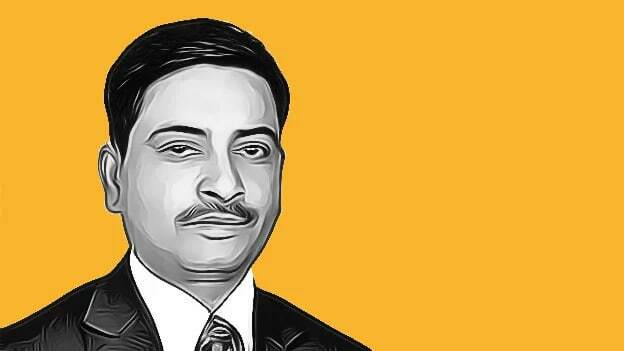 Prior to joining Adani he was Chief Human Resources Officer for Tata Power and its group entities. These changes will be with effect from 1st April, 2019. Dr. Jayant Kumar will be part of Group HR till 31 March, 2019.